With a week’s worth of stellar weather conditions, fishing around Anna Maria Island has been pleasurable. Calm waters and warm southernly breezes have made for some near perfect days on the water. Inshore fishing has been quite good for catch-and-release redfish. Fishing around docks in the bays and Intracoastal Waterway is yielding many 15- to 25-inch catch-and-release reds. Most are on the smaller size of the range, which makes the larger ones a real treat. Sheepshead and black drum are also around the docks, which adds some variety to the bite as well as the potential to take a fish or two home for dinner. Fishing offshore is even better with reports of red grouper, numerous snapper and amberjack being caught. Fishing depths inside of 120 feet is proving to be quite good as water temps are slowly on the rise. For the groupers, live pinfish or frozen sardines are working well. As for the snappers, live shrimp are getting the job done. 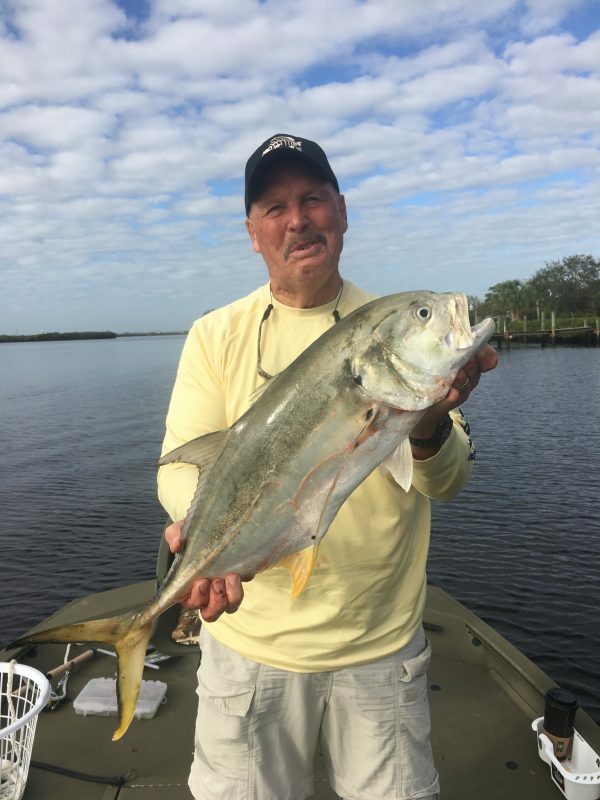 On my trips with Southernaire charters, I’m concentrating on docks fishing as well as fishing wrecks and reefs around the inshore waters of Tampa Bay. Around the docks I’m seeing encouraging numbers of redfish. Casting live shrimp in these areas is attracting a bite. Fishing the wrecks and reefs is proving to be good for sheepshead. Again, live shrimp are working well as bait. The large concentrations of sheepies have yet to make a showing — I predict the bite should improve as we near the next full moon. Let’s hope anyway. Fishing along the beaches with live shrimp is working — especially for pompano and whiting. The whiting are ready to spawn so I’m seeing an abundance of them being reeled up to the boat. As for the pompano, there are some around but the bite is sporadic.